Spring and summer have finally arrived and our gardens are blooming, so why shouldn't our baubles? 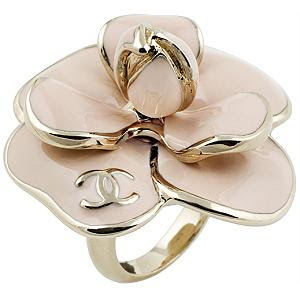 I've spotted an abundance of oversized flower cocktail rings lately on Bag Borrow or Steal from the likes of Kenneth Jay Lane and Chanel (cue the drool), with enamel accents and semi-precious stones galore. These multi-petalled beauties are even more lovely than their real-life counterparts. While Bag Borrow or Steal doesn't list purchase prices on their website, I imagine these rings cost a pretty penny. 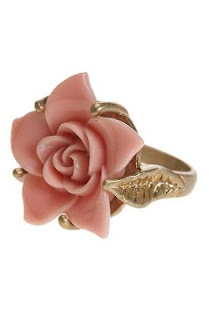 I suggest snagging this flower ring from Urban Outfitters for a mere $18 to get the look and still keep some money in the bank for a rainy day. 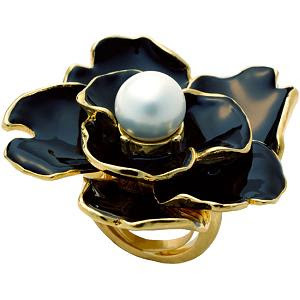 At that price, you'll have something left over for a new floral-print sun dress to match your ring. "It's Hard Work Looking Good"